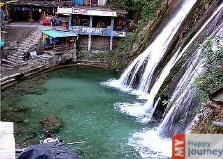 Mussoorie offers a picturesque view of the holy and mighty river Ganga and Jamuna. The weather is generally bright and clear with the magnificent views of snowcapped hills, which gives it the name - the queen of hill stations. 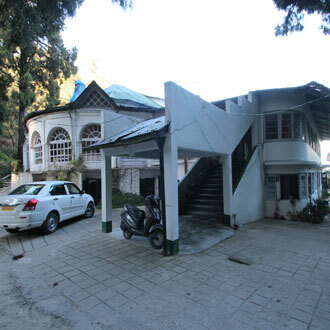 The lush green hills, the varied flora and fauna and the majestic view of hills attract thousands of domestic and international tourists to Mussoorie each year. 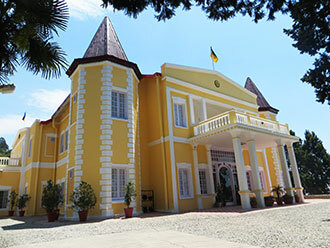 The city is a popular summer retreat in India offering great weather and numerous attractions. September to June, are the most awaited tourists months, offering comfortable atmosphere and the opportunity to trek and camp in the wonderful views of the Doon Valley. For tourists, who are planning to enjoy a lifetime experience, they can enjoy camping, rock climbing and other such activities in this season, whereas the time from late October to mid February is very cold and spine-chilling. Occasional snowfall might lead to road blocks; still it attracts a major share of tourists. The monsoonal torrents make it a good time for nature enthusiasts to spend a leisure time holidaying. Winters –October –February – spanning from October to February winters are accompanied with chilly weather conditions and snowfall. Wearing warm clothing helps adventure enthusiasts to enjoy as they indulge in outdoor activities. Summers – March – June – with greenery at its full bloom the days are very pleasant with an average temperature around 37°C. This is a good time for sightseeing and activities like camping and trekking can be fun in this month. Monsoon –July–September–this season experiences medium to heavy rain fall thus increasing the level of humidity, whereas the post monsoon showers balance the overall temperature and make the city look even more amazing than before and good for activities like water rafting. Very cold The weather is extremely cold during this month. Days are accompanied with plenty of sunshine whereas nights are relatively cold. This season can be best enjoyed by honeymoon couples and families. Tourists are advised to wear heavy woolens to avoid the bad effects of heavy snowfall. Very Cold February witnesses successive decrease in the temperature thus making the climatic conditions cold and chilly. Besides the clear blue skies, the morning and nights can be freezing but the natural vista of the city is remarkable and can be enjoyed maximum in this month. Moderately Cold March allows tourists, not only to take advantage of moderate climatic changes and the clear skies, but also to enjoy the serene beauty with its green hills and varied flora and fauna. As there is no further snowfall the days and nights become comparatively cooler thus wearing light woolens is necessary. With this month the spring season is in its full boom, with the Kempty River flowing through it, lake mist forming small waterfalls offer a picturesque view to its tourists. 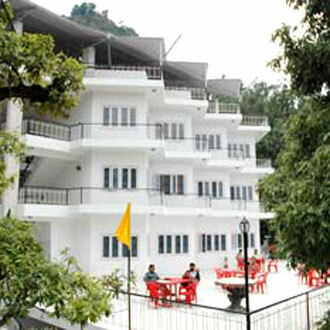 Pleasant The weather in this month is pleasant and apt for enjoying the adventure sports like trekking and paragliding. 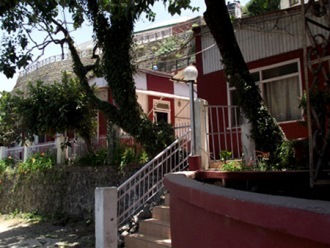 The nights however, are cold because of the cool breeze, whereas the rise in temperature at the end of the month offers comfort to the tourists at Mussoorie. People, who wish to enjoy snow, can go to the high altitudes. Moderately Hot May has moderate warm temperature thus the weather is ideal for spending a few days away from the scorching heat of plains. 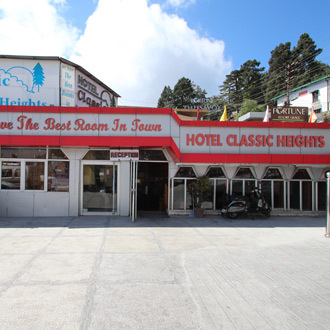 The place offers its tourists to discover the rich variety of its flora and fauna, spectacular views of the snow capped hills and to explore the town buzzing with activity marks a perfect destination for a memorable holiday. Pleasant This month is best for people, who love rainy weather. June brings intermittent rainfall thus lowering the soaring temperature. The sky remains clear for most part of the month, which makes it a good time to unwind and rejuvenate in the lap of nature. Enclosed by lush wooded expanses, the place offers opportunities for quiet walks away from the crowds. Rainy In this month the monsoons come to the city in full force, though this period is not a suitable period for taking up outdoor activity but for those who want to enjoy the calm and refreshing greenery of its hills, drenched in rain, the city is a gem to explore. This month being an off-season, the crowd is minimal also the tour packages and hotel rates are lowered. 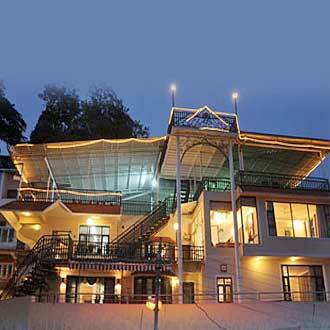 For rain lovers this can be the great opportunity to spend an ideal vacation. Moderately Hot August experiences rainfall which can sometime give rise to uncertain landslides but the pleasant climate condition maintains the overall temperature thus making travelling to city easy. This month unfolds a variety of activities for all tourists like long walks down the natureÃ¢â‚¬â„¢s path, exploring glimpses of British occupancy in the town, or shopping can be fun with friends and family. Pleasant Finally the monsoon showers fade away and the weather becomes cool and refreshing. Extreme sunrays and the glittering snow covered mountain peaks, offer tourists a mesmerizing view. September is the month that sees maximum influx of tourists. 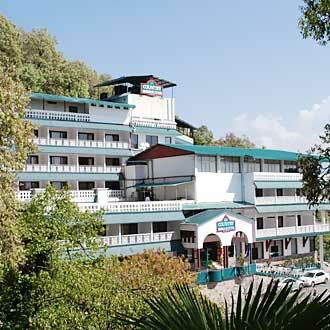 Mussoorie becomes a bustling resort with hordes of holidaymakers ambling down the city. 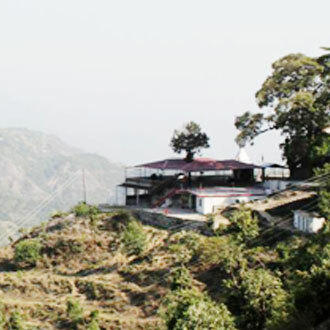 Pleasant October is considered to be one of the best months from tourism perspective because of the pleasant weather; the place becomes ideal for enjoying adventure sports in the hills of Mussoorie. The area is exceptionally jam-packed with tourists and the prices for holiday packages are expected to be high. Moderately Cold The temperature begins to dip with as the winter season arrives. 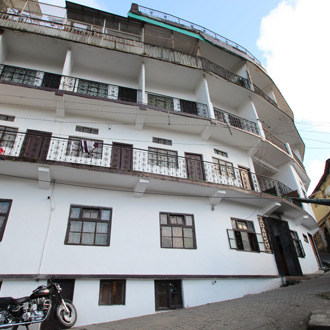 November also offers great opportunity to indulge in sightseeing and explore the colonial past of this town, with posh hotels and wooden carved guesthouses. Tourists can enjoy snow in the lower plains as well. Very Cold December witnesses extreme cold weather, serving as one-stop destination for the old and the young people. 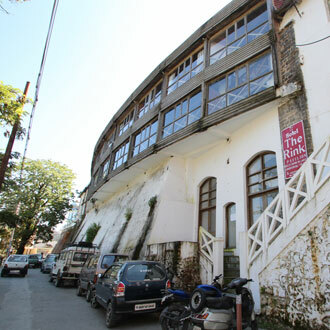 Mussoorie unfolds a variety of activities for all its tourists, be it mountain climbing, long walks down the Childer's Lodge or Gun Hill and the eminent Kempty cascade. The place is like a picture right out of your dreams. Tourists can enjoy relentless heavy snow that begins in this month.